← Two new Christmas card designs for 2018 – and lower prices! “The book in many ways is both exhausting and liberating. It is exhausting, because of the vulnerability and courage shown by these women. They each have their own voice. They each have their own crosses to bear. Yet somehow, through it all, the Gospel of Jesus Christ shines through. They tell the story of the God who is ever present with His people, who walks with them through the valley of the shadow of death, and who never leaves their side, no matter what the trial. It doesn’t matter if they are talking about the burden of disease or death, single-hood or dementia, they share this language of faith in a way that I did not expect. “But vulnerability is exhausting. It lets other people into your life. It gives them a place at your table, and you at theirs. It’s why true vulnerability is so rare. It is easy to have a strange kind of pride in suffering and sorrow. LOOK AT ME, we might be saying. But that’s not the voices of these authors. They see their own weaknesses and fears. They see how Satan has tried to sift through them. But more importantly, they see what it means to be one in the body of Christ, in communion with God and with each other. It is a rare treat. I feel like I’ve had a peek into an important family conversation, and I am all the more blessed for it. Read the entire review here. 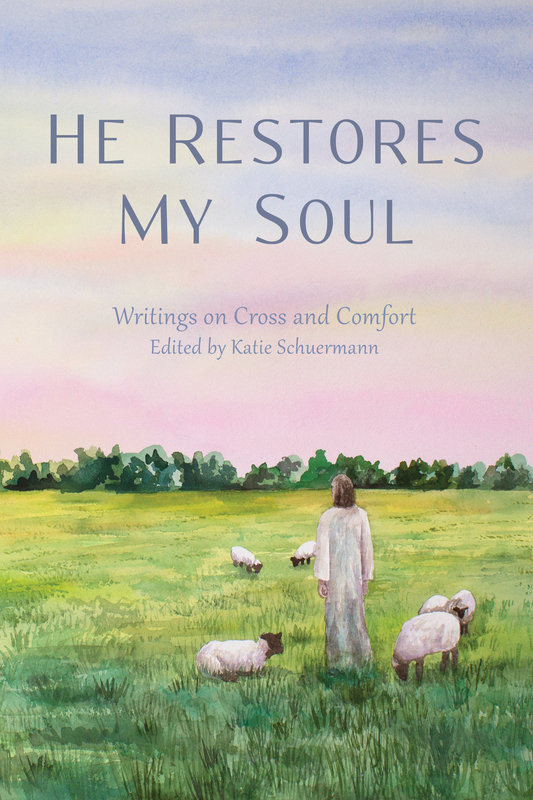 Find excerpts, author interviews, and purchase information for He Restores My Soul. This entry was posted in Latest News and tagged He Restores My Soul. Bookmark the permalink.